Are you finding the going a bit hard these days? Dissatisfied with life without knowing why? In a rut? 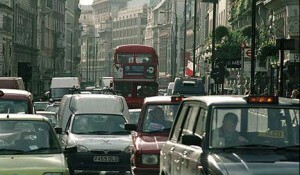 The UK these days has a high pace of life, crowded driving conditions, and high cost of housing. Is this reason enough to be fed up and in a rut? Human existence of course is full of challenges and difficulties and this is normal. However some commentators point to what they see as materialist pressures of an acquisitive society resulting in both men and women spending more time in commuting to their jobs and working long hours, with a consequent squeezing of time available for relaxed living and quality home life. Such stressed people may be vulnerable to the growth of negative thinking about the unfairness of life and so on. You may not be able to easily alter the external circumstances of home and family life, parenthood, business, and social activity but you have an inkling that something needs to change within your soul but what it is and how to change you do not know. Is it not the case that today in western culture adults are faced with a more uncertain future as concepts such as `marriage for life’ or a `job for life’ change, making it harder to achieve intimacy through marriage or identity through work? Is there not also an increasing tendency for adults to delay commitment to an intimate relationship and to delay having children? Arguably, healthy development in adulthood is characterised by our guiding and nurturing the next generation. Such a role has the potential to be deeply fulfilling. Of course, this may be done directly, in rearing one’s own offspring, or through a more generalised productivity and creativity. In pursuing such a role, adults will make personal sacrifices but problems arise for them when they do not receive an adequate degree of encouragement and appreciation. Sadly, when in a negative state, the ego demands even more recognition and thanks and fails to notice the happiness that a kind act generates. According to spiritual theory there are ideas of conscience often hidden at the back of our mind that guide our lives, for example the values of patience, endurance, kindness or the principles of fairness, loyalty, truthfulness. These ideas are all about what one considers to be the important things of life. The trouble is, when you are in a rut, negative thinking can take away the ability to believe in the importance and usefulness of, or interest in, doing any of the things that one is engaged in — whether it be sustaining the relationship with a partner with whom one has just had a row, caring for one’s yelling baby, or putting effort into supporting one’s colleagues at work who seem inadequate to do their job. Sometimes we need to take our higher principles out into the daylight, give them a dusting down and keep them in sight as we grapple with the mundane and stressful side of things. Love is not always selfish. Doing things for others is not always a way of expiating guilt. Work is not just a means of earning a livelihood but is often something that produces what is good. The amount of rational thought people can give to such deeper issues will differ according to their natural disposition and their situation in life. Is not the important thing whether the person deliberately shuts them out? Some individuals will be trying to control and deal with the day to day challenges of life in all its bewildering complexity without much consideration of any higher values or principles. Instead they remain stuck in negative thinking — in a rut with their thoughts of resentment and pessimism. As you seek to follow higher ideas, about how you should really respond to the difficulties you daily encounter, your old negative thoughts and ways are challenged – are you ready to leave them behind and move on? Or stay in a rut of your own making? I believe if you do respond positively, your growing enlightenment leads to great changes in relationships with others. Next Next post: Win-win or win-lose?